MoreStampsGlobal - Traveling is made EASIER via Cryptocurrency! Thread: MoreStampsGlobal - Traveling is made EASIER via Cryptocurrency! Are you looking for the ideal website to make your flight and hotel bookings? Do you want to make your online reservations with cryptocurrency? Or do you simply need a unique website to get the best deals? If the answer is yes, then you are in the right place. 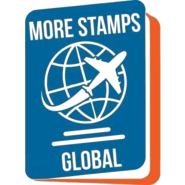 Welcome to More Stamps Global! We provide you a platform to book various travel needs with over 40 cryptocurrencies. IT'S TIME TO TRAVEL WITH CRYPTOCURRENCIES! Freedom Of Movement With Over 40 Cryptocurrencies! We are an online travel agency company based in Hungary but offer services globally. We are a crypto-enthusiast and specialized in planning the perfect vacation customized to your interests. We create some unique itineraries related to tour and travel including booking of Hotels and Flights (Domestic and International) on-line through our website. Our style varies from other travel agencies as we offer clients the choice to make bookings with over 40 cryptocurrencies. We provide a variety of travels deals such as Flight and Hotel booking, Tour packages and many more. ]We came into existence to provide people with the best and unique deals. Take a look at our flight and hotel bookings, and you would be convinced we are here to deliver the best deal. We designed our operations to cater to the needs of those with cryptocurrency as they can easily purchase that on our website. More Stamps Global brings a kind of sophistication to your online bookings that you won’t find elsewhere. You can book cheap flights to your desired destination with over 40 cryptocurrencies. We place our client's satisfaction a priority. Therefore, we go the extra mile to provide you with the best deals at all times and also adding more cryptocurrencies to our payment method list. We aim to accept over 300 cryptocurrencies. Feel free to call us the online travel agency for the crypto world. Do You Have Review About Us? More Stamps Global brings a kind of sophistication to your online bookings that you wonÂ’t find elsewhere. You can book cheap flights to your desired destination with over 40 cryptocurrencies. We place our client's satisfaction a priority. Therefore, we go the extra mile to provide you with the best deals at all times and also adding more cryptocurrencies to our payment method list.